Lahore (/ləˈhɔər/; Punjabi: لہور ALA-LC: Lahor Punjabi pronunciation: [ləhoːr] ( listen); Urdu: لاہور‎ ALA-LC: Lāhor IPA: [lɑːhoːr]) is the capital of the Pakistani province of Punjab and the second largest and metropolitan city in the country. It is the largest nativePunjabi-populated city in the world and an important historical centre of South Asia. With a rich history dating back over a millennium, Lahore is a main cultural centre of Punjab and Pakistan. One of the most densely populated cities in the world, Lahore remains an economic, political, transportation, entertainment, and educational hub. It is referred to as the "Mughal City of Gardens" due to the historic presence of gardens in and around the city dating back to the Mughal period. Lahore successively served as a regional capital of the empires of the Shahi kingdoms in the 11th century, the Ghaznavids in the 12th century, the Ghurid State in the 12th and 13th centuries and the Mughal Empire in the 16th century. From 1802 to 1849, Lahore served as the capital city of the Sikh Empire. In the mid-19th and early 20th century, Lahore was the capital of the Punjab region under the British Raj. The traditional capital of Punjab for a millennium, Lahore was the cultural centre of the northernIndian subcontinent which extends from the eastern banks of the Indus River to New Delhi. Mughal structures such as theBadshahi Mosque, the Lahore Fort, Shalimar Gardens, the mausolea of Jehangir and Nur Jehan, Chauburji Gate, and the walled city are some of the major tourist attractions in the city. Lahore is also home to many British colonial structures built in the Indo-Saracenic style, such as the Lahore High Court, the General Post Office, Lahore Museum, Lahore Railway Station, and many older universities and colleges including the University of the Punjab, Govt College and King Edward Medical college. The Lahore Zoo, thought to be the fourth oldest in the world, is also situated here. Lahore is referred to as the cultural heart of Pakistan as it hosts most of the arts, cuisine, festivals, music, film-making, gardening and intelligentsia of the country. Lahore has always been a centre for publications, where 80 percent of Pakistan's books are published and remains the foremost centre of literary, educational and cultural activity in Pakistan. It is also an important religious centre as it is home to hundreds of temples, mosques, and shrines like Data Durbar Complex. According to the 1998 census, Lahore's population was 6,310,000. A 2010 government estimate now puts the population at 10,000,000.It is ranked 42 in the most populated urban areas in the world and the 8th largest city within the Organisation of Islamic Cooperation. Lahore has expanded almost double area-wise in the last 12 to 14 years. In 2010, Lahore was ranked as a Gamma+ world city. 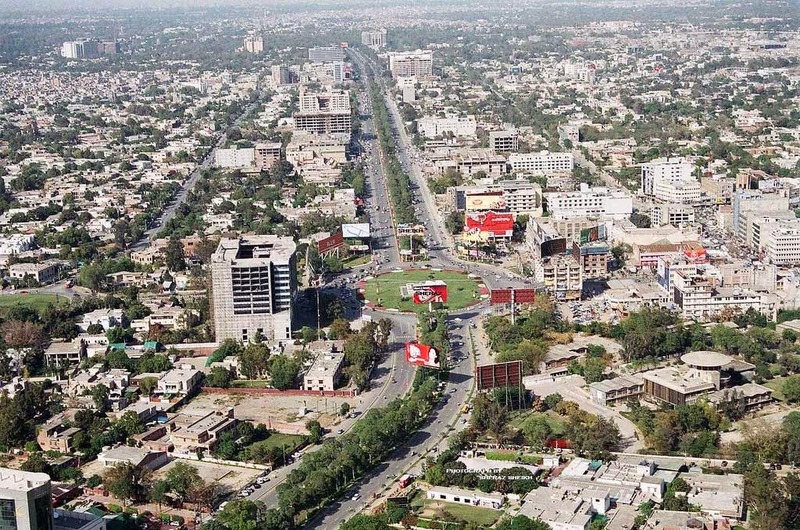 The Guardian has rated Lahore as the 2nd best tourist destination in Pakistan after Taxila.